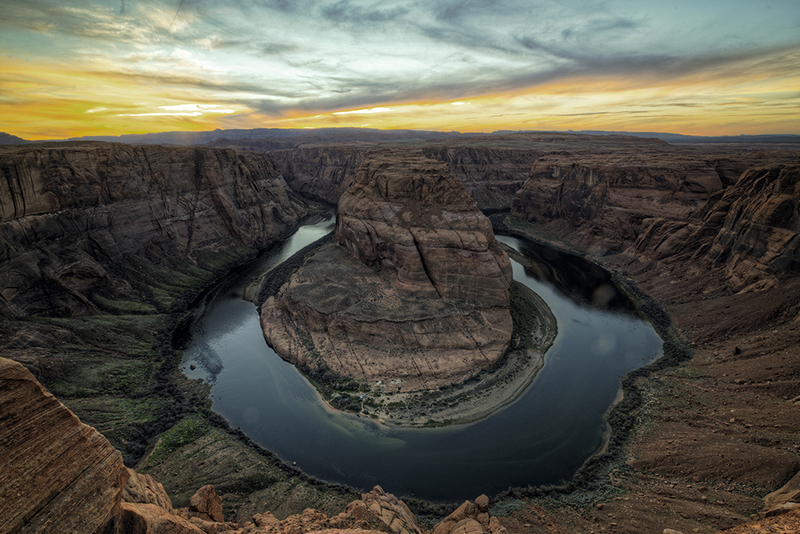 Colorado River makes a spectacular (Horseshoe) bend just outside the City of Page. We visited there twice in one day, one bright early in the morning and the other in late afternoon. I used Tokina 16-28 mm wide angle lens to capture the entire bend (24mm lens is minimum). Thank you for visiting my blog and glad you like the photos. The red color reflecting the soft morning light was indeed beautiful.